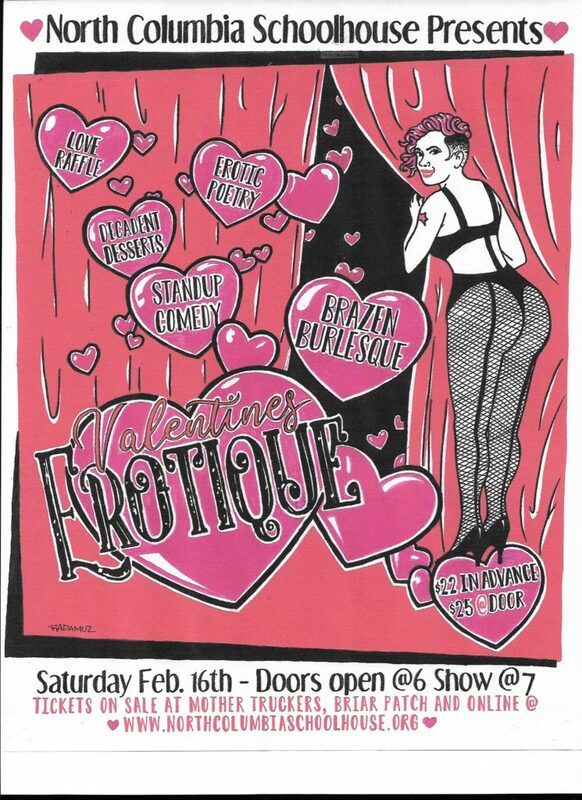 North Columbia Schoolhouse Cultural Center » Valentine Erotique ! Doors open at 6pm to view the EMBODIMENT group art show, buy Love Raffle tickets and sample award winning deserts! The show begins at 7pm.